Nowadays it is very easy to find out if someone is dead. Sometimes information about someone who died might be required for legal purposes or in genealogical researches. Sometimes health problems require this type of information. Just in case you need to trace somebody at some point in your life, you should know that you can do find out if someone died for free as many resources are available online. You will be surprised of the amount of information available about deceased people and you will need some time to go through this information and to sort it before finding out what you need. 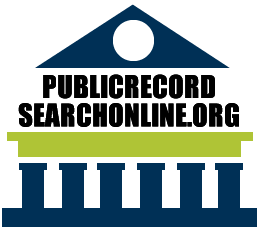 If you just have a little time, some patience and an Internet connection, you can access free records about deceased people from your own home. Start by revising what you already know about the person who you think may have died. Besides his or her name, you should also find out other details, such as the date of birth, because there are people with similar names and it might be difficult to establish if what you found is about the right person or not by having just the name. Avoid confusions by gathering as many details as you can. Once you know the person’s name, use familysearch.org to perform a death records search by name. It is totally free and it offers you information about everyone who died after the Social Security Administration was established. You can find on this website the deceased person’s census records, last place of residence, his or her date of birth and date of death. The National Administration and the Records Administration have some records that they keep online, so you might want to also check them out (National death index). Only some of the death records are for free and for the others you need to pay. If you know where someone is buried then you can visit that cemetery and look for their tombstone. It can contain valuable information such as the date of birth, the date of death and the spouse’s name. You can also search for tombstones that belong to relatives of the deceased person buried in the same cemetery. Information you might find can be helpful for a genealogical research. Newspaper archives are also valuable sources of information, so check them out at the library. You might find something useful about the deceased and you can also check obituaries if you are interested in a genealogical search. Also visit the county courthouse because there you can find records such as immigration papers or naturalization papers. They can be helpful for you if you need extra information about the deceased person you are interested in.